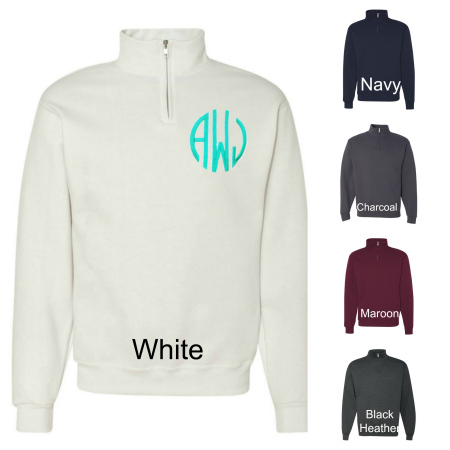 This quarter zip sweatshirt is personalized with your monogram. Made from a cotton/polyester blend. 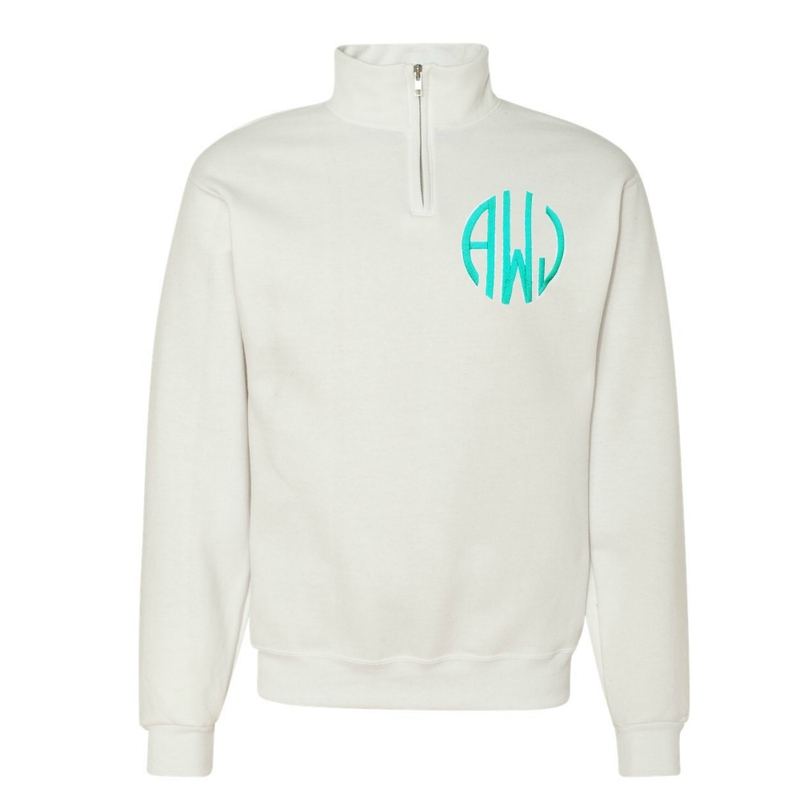 This sweatshirt brings warmth and comfort! Wear to the game or pair with leggings or jeans for a comfortable look. These sweatshirts run big. They are unisex. Please see the size chart. All order take up to 3 weeks for creation and shipping is in addition to that.